Welcome to my blog world. My name is Bunny and it’s my desire to use my blog to reach people all over the world with the truth that God is real, Jesus is God, His Spirit is our Helper and He has a plan for each of our lives. I accepted Christ at the tender age of 7 when God made Himself known to me in a very special way. He showed me that day that He is very real and I could depend on Him to help me through life on this earth. I needed His help. I am a survivor and overcomer of abuse and found healing from its effects through forgiveness. Jesus has walked with me throughout my life teaching me how to deal with the every day battles, the unexpected disasters, and the challenges of simply being a wife, mother, grandmother, daughter, sister, friend, and a witness of God’s grace, mercy and unconditional love. I do a morning Facebook live Bible study, Monday – Friday, for women called Press On. I am a teacher of God’s word, a speaker, a writer and an artist. I am an avid reader and prayer warrior. Prayers of praise and belief that God will do what He says He will do creates the core to my prayer life and my faith walk. My husband and I will celebrate 40 years of marriage this coming January. We have three daughters, a son, two (soon 3) sons in love and a daughter in love and of course seven of the most amazingly wonderful grandchildren the world has ever seen. 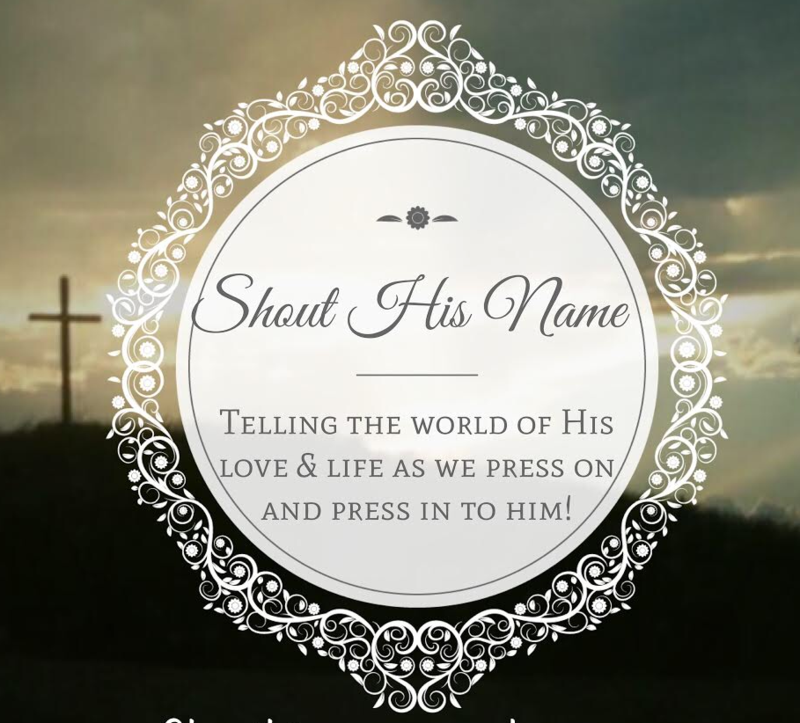 Thank you for joining me on this journey to shout the name of Jesus around the world. He is the way, the truth and the life. I need Him, you need, and the world needs Him.